The Zimbabwe Football Association (Zifa) has banned four officials for 10 years in the latest round of sanctions in its inquiry into match-fixing. 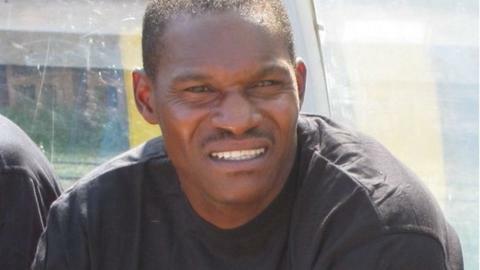 But former Warriors coach Norman Mapeza (pictured) and 74 others must wait to see if they will be punished. Those set to be banned for five years or less will be named later this month. A total of 101 players and officials were under investigation for accepting money to lose matches on tours to Asia between 2007 and 2009. So far fifteen players and officials have been given life bans while another eight were exonerated following the investigations. Three of the four officials banned for 10 years were with premier league club Monomotapa, who masqueraded as the national team on a tour to Malaysia in 2008. Zifa president Cuthbert Dube also announced the disbanding of Warriors side who lost to Angola in a 2013 Africa Cup of Nations final round qualifier. However coach Rahman Gumbo and his assistants Peter Ndlovu and David Mandigora have been spared the axe. Zimbabwe held a 3-1 first-leg lead but went out on away goals after conceding twice in the first six minutes of the second leg. "The Warriors who did duty for Zimbabwe in the 2012 and 2013 qualifiers have been retired en masse, allowing for a new senior national men's team to be built," Dube said. He went on to say that players could be chosen for the national team in the future if Zifa are satisfied that they have played no part in match-fixing. Meanwhile, Mapeza, who in February was suspended as national coach as part of the investigation, has won a labour dispute against Zifa. Zifa has been ordered by a labour tribunal in Harare to pay Mapeza US$94,000 in salaries and benefits.